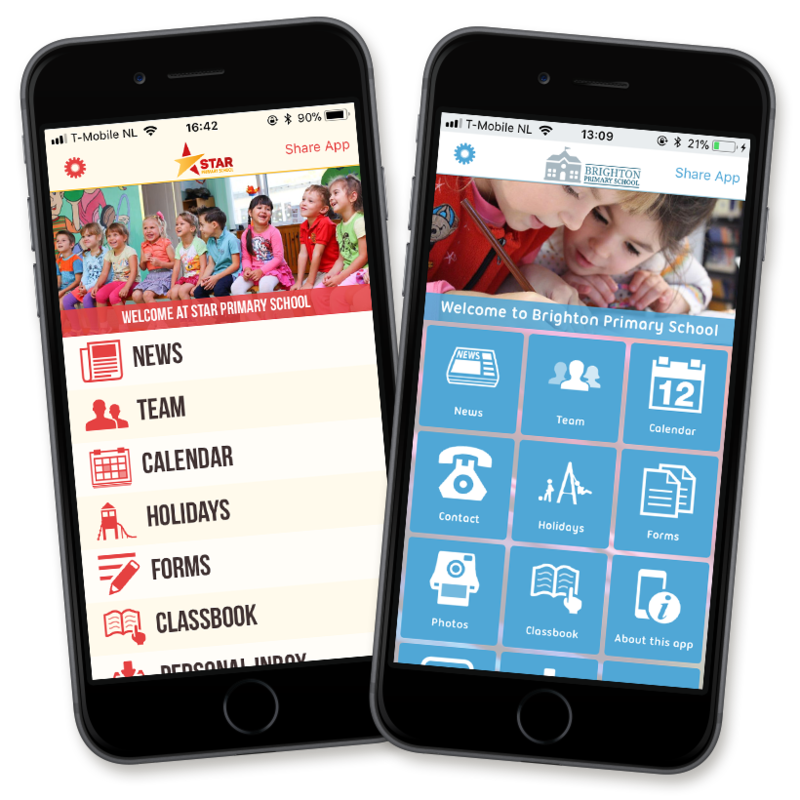 Your own school app complete in your school’s look & feel! Your own identity and particular working methods makes your school unique. Which is why we help you devise your own app using our standard building blocks, all in your school’s look & feel! We create various graphics based on your own logo and colors so that the app fits your school. By choosing a combination of the available page templates, menu styles, page order and icons, your school gets its own unique app.